I have been with HealthStrong for more than a year now and I will be for years to come. I started working in the rural area of Goulburn, NSW after relocated from Perth, WA where I had lived for six years. Relocating to somewhere new on my own was challenging, it turned out to be harder than I had anticipated. Other than handling the challenges at work as a new beginner to the working world, I also had to face issues like housing problems, unfamiliarity with local legal processes and requirements, acclimatising to the local weather, finding social outlets, and missing family and friends. 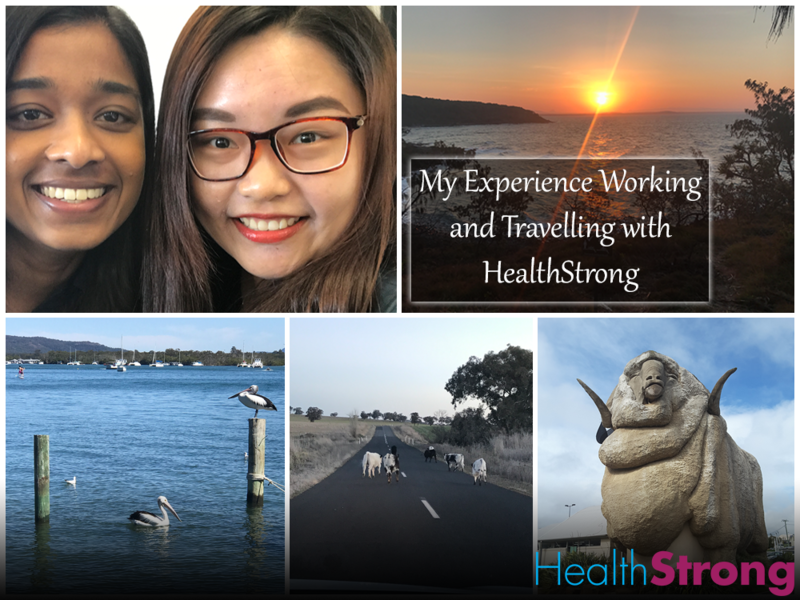 I am so glad that HealthStrong has provided me with continuous and sufficient assistance and guidance, and all the managers, team leaders, senior OTs, administrative staff and coordinators are so supportive and approachable. With their help, it did ease my stress in my first OT job. Additionally, besides clinical questions, the team leaders and senior OTs also provided me with emotional support when I felt overwhelmed by the challenges I faced at work. I am so lucky to be with HealthStrong. They really do care about our physical and emotional health and well-being! I have recently transferred to Sydney metropolitan area after working a year in Goulburn, and lately, I have had the opportunity to travel to different places for work such as Canowindra, and even interstate. I just got back from Noosa, Queensland last week. Being able to work in the city and country areas, it really does increase my personal knowledge and life experience. I experienced so many interesting and amazing things when I travelled to different places for work. For instance, I met a group of cows in the middle of the road on my way to Canowindra, bumped into a HealthStrong practitioner who I had never met before in the regional airport, caught people’s eyes while capturing selfies of Pa at the tourist attractions, and I was amazed by the stunning views in Noosa. Through sharing all these interesting experiences with my residents, it does help me to engage them in meaningful conversation during treatment time, which in turn enables me to build good rapport with them. I never thought that I would travel around for work since I didn’t used to like change and was less adaptable and flexible, but now I really enjoy travelling around and working in different places. Thanks HealthStrong for making me step out of my comfort zone and helping me grow professionally and personally!